Ladies and gentleman, the Plastiki has landed. 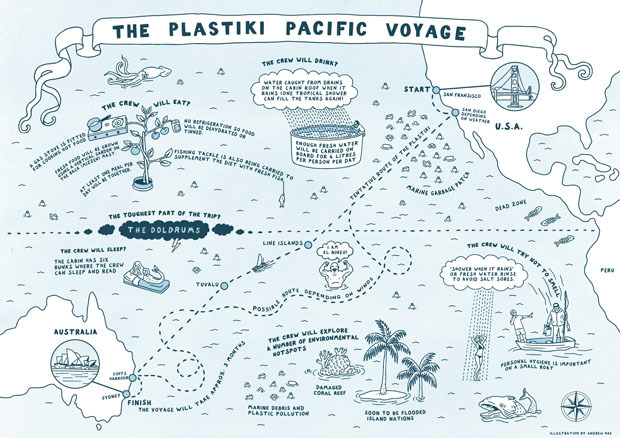 One hundred and twenty-two days into its landmark voyage from San Francisco to Sydney on a quest to raise awareness of marine and plastic waste, the boat, composed of 12,500 plastic bottles and other recycled materials, has reached Australian waters. The crew touched ground in Mooloolaba, Queensland, which is north of Sydney. However, it wasn’t always smooth sailing. team denies this was a rescue and explains that it was a planned charter mission, a routine measure for all of the boat’s calls into port. course to arrive in Sydney for next weekend’s arrival celebrations.